There is nothing wrong with being arrogant or brash but he should quit the talk and win 2 Majors within the next 2 years, yes, I am estimating 2 years before talking about being a Top 5 player. Try beating Phil Mickelson or Vijay Singh's current number of wins first and let the club do the talking before making such comments. Only 3 PGA wins and already blowing his own trumpet. Even RM show respect and didn't say such stuffs. wow, very confident huh. hope he keeps winning la. It's good to have confident, let's hope he can prove himself. Action speaks louder than words. Let's watch over the next few years. World ranking is by points system. Need not to win major to be top 5. If he can win 1-2 more, I bet he can reach Top 5 this year. Though he may be a rookie, but his game is consistent and good. 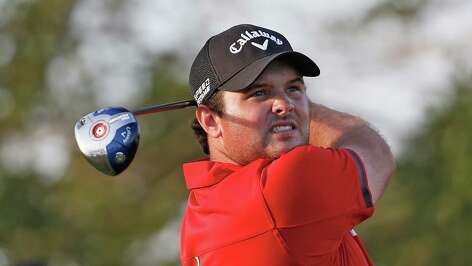 Throughout the years in the PGA.. up and coming stars come and go... still a bit too early to see if Reed will be another legend.. or just another one that fades away. Only time will tell. We are not doubting his ability. But he should not blow his own trumpet just because he won 1 PGA tournament in 2013 and 2 in 2014 and suddenly claim he is Top 5 player. Let the club do the talking. Many who blow their own trumpets tend to be blown away by unseen forces. It is therefore good to be a bit humble, especially in the presence of the many capable Pros who are ranked higher than him. Show some respect for the more experienced and reputable Pros. But he also kena whacked by angmohs for his cockiness leh. Bro hara's right, but unfortunately this joker is just too big and charming for most to resist. I think he "humbly" declares he IS ALREADY a top 5 player. Confident young man! "Just happens to be that we both wear it on Sunday now.” Patrick Reed on his selection of Red Shirt and Black Pants on the final day. What a copycat he is and can't believe he made that statement. The top 16 to 19 in the world will say "we are in the top 5 too!!!" The top 1 to 15 will say " guys, now we are in the hall of fame "
This guy has made me lose my respect for him. Not even a bit humble as a Pro. Won't be surprised If he did. His head is now bigger than his hat.